Speedster 24 with Bailey V5 motor. Skiing in Chamonix you look up in the blue skies and see danglers turning and transiting the valley in the updrafts and thermals. This to me looks inspiring and great fun so I must have a go. 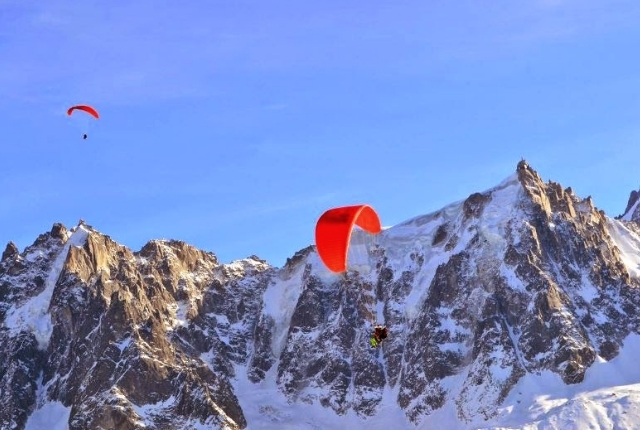 Approximately 16 months ago I took lessons with Richard Taylor of Air Sports Chamonix where I learned to paraglide. This year I have been to the Alps on 5 occasions improving my skills. My longest flight to date is 1hr 15mins. I terminated the flight because it was a little cold. Returning to the flat lands of Cambridgeshire it’s just not practical to pop along to Dunstable downs on a whim and take a flight. So, my only option is to strap a motor on and launch. Taking some lessons from Geoff Soden (1700hrs instructor) here at Gransden it was time to fly. This flight below is about my 6th with a motor. 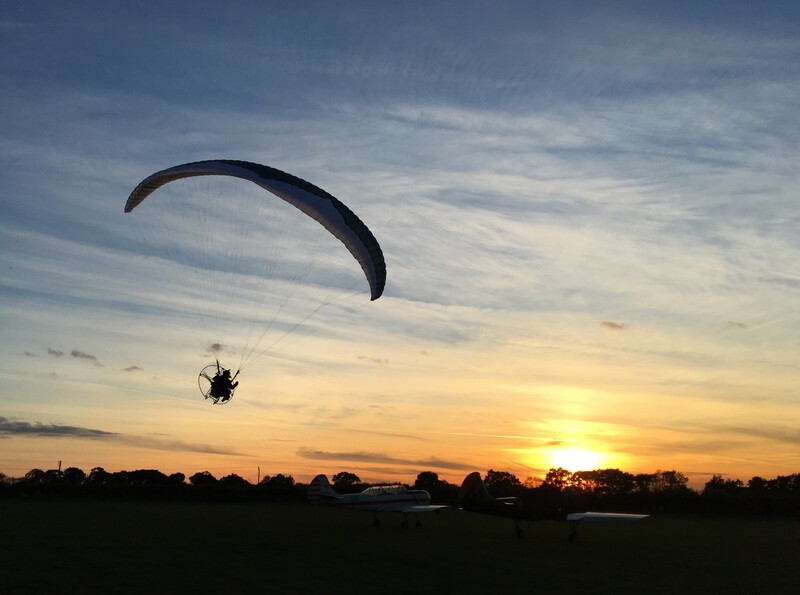 You might ask what’s the hardest part about flying a paramotor, well that’s easy to answer. The take off and the landing 🙂 The best advice I can give is do plenty of ground handling, pull the canopy up, control it and deflate it, launch again etc. A slight breeze of say 6-8 mph will help greatly. Having an assistant to hand helping pull the canopy out again is very useful. A slight breeze as indicated in the video below is extremely helpful until your able to launch 100% every time, this cuts the takeoff run to a few paces. Can anyone do this sport? well yes as long as you’re fit and able. However the down side is current motors with fuel, reserve canopy, harness etc seem to weigh in approx 28 – 32 kgs. This does limit it to fit strong persons. However Colin Boyd of Swift Composites and Rob Martin Sky Light composites from Sandy are both looking at light weight motor frames and tanks using carbon fibre. Rob has a motor, tank and harness down to 9.5 kgs. Colin is going with a light frame and 75 kgs thrust jet engine on his light weight frame. The down side is the amount of fuel required for a long flight. I’m excited with both projects and hope to fly with these specials very soon. Thank you for the video edit Sara.